I am going to give you my review on The Selfish Giant. On the day of the play no one forgot their words and everyone’s acting was brilliant. I felt very nervous when I was just about to walk onto the stage because I had forgotten some words in dress rehearsal, but it was fine in the end. 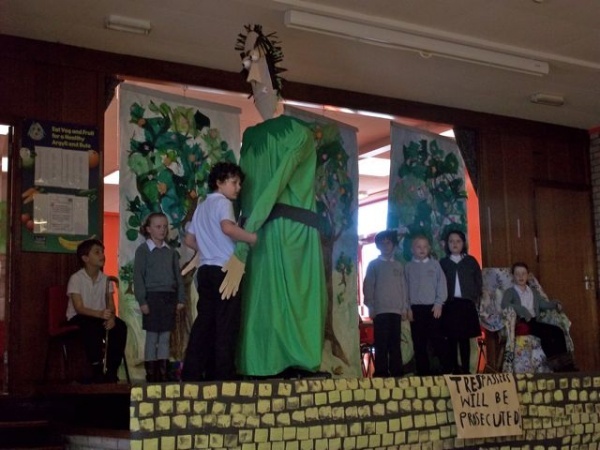 We did have a down side to our play, just when everyone had sat down the person playing the giant became ill. Eleanor was very clever, she was the puppeteer for the giant and she stepped in at the last minute, even though she hadn’t learned all the words she seemed to know them. There was only one time that Eleanor didn’t know what to say but Harry knew the words so that was a big help. Other than that the play was great and everyone enjoyed it and after the play all the mums, dads, grannys, grandpas were allowed to go up and have a cake that we made and a cup of tea. Today is the day of the selfish giant play and everybody is nearvis. We are going to have a dress reahersel. Today we did a run through of our play and it was very good at scene one but it got bad at scene two and three. We did all the songs and dances. I had to dance for Oliver because he was absent. I think our play is going to be very good. It is on Thursday 29th of March which is this week. I love our play so,so much it is the best in the world. I hope it will be great! 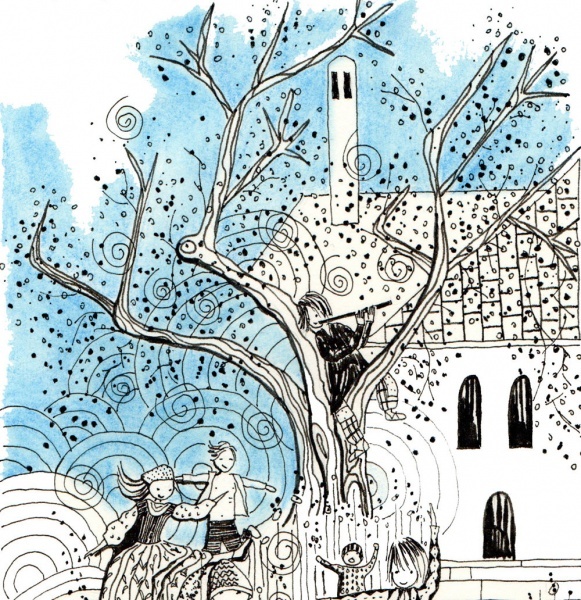 On the 29th March we are going to do a play called the Selfish Giant. I am the bird, Maisie old woman, Harry old man, Emily Flora, Oliver North Wind, Alica Hanna, Robbie Tom, David Bob, Danni Snow, Abbie frost, Jodie hail, Nick Jesus, Torin giant,Ello puppeteer and Izzy Poppy. I love being the bird.